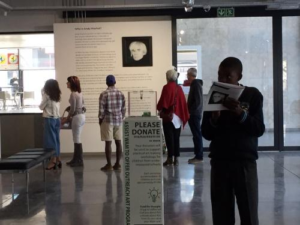 On Saturday, 2 September 2017, 45 Ikamvanites from the Ivory Park and Ebony Park branches had the pleasure of being taken through Andy Warhol’s “Unscreened” exhibition, held at the Wits Arts Museum. We are grateful for this opportunity which was made possible by Bank of America Merrill Lynch (BofAML), who sponsored the spectacular exhibition in collaboration with Wits. While admiring the array of original pieces of artwork, the learners were privileged to have been given a private tour of the exhibition. They had a chance to interrogate the meticulous screenprint style of each painting. 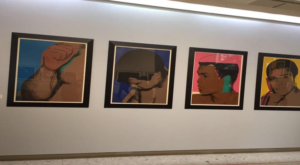 The paintings, which featured recognisable icons such as, Marilyn Monroe, Muhammed Ali, Mickey Mouse, Superman, and an animated self-portrait of the artist (Andy Warhol), seemed different from the styles of artwork in the gallery. The vibrant pop of colour and intentional use of angles was a style regarded to have transgressed the normal boundaries of what art was in the 1960s, yet was made popular by Warhol. The tour included reflective exercises which challenged the learners to think about the intentions Warhol may have had in producing the screenprints. The exercises made the learners think about the history behind each painting and the significance of the political and social influences of the time. The learners also had the chance to create their own art by drawing popular brands that they enjoy using on a daily basis and presenting back to the group about why they chose those items. This showed the influence of media and pop-culture on people, how we behave in our time, and how the role of media and pop-culture had on Warhol. The exhibition was concluded by learners hanging personal messages reflecting on the exhibition on beams which previous visitors of the exhibition had an opportunity to put up. 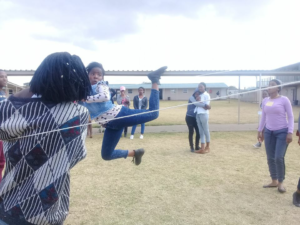 Many of the learners considered the exhibition fun, eye opening and a chance to get in touch with how they can breakdown norms in their own lives, whether it is through art or other ways in which they can express themselves and showcase who they are. 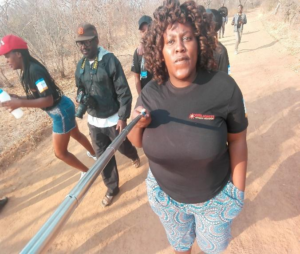 We hope that one day we will have an opportunity to hear, see and learn of our Ikamvanites on platforms as big as the one we were invited to witness. 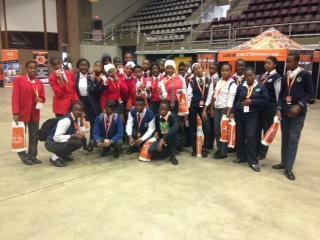 The excursion increased the learners’ curiosity about the spaces in which they will possibly study and work in one day. 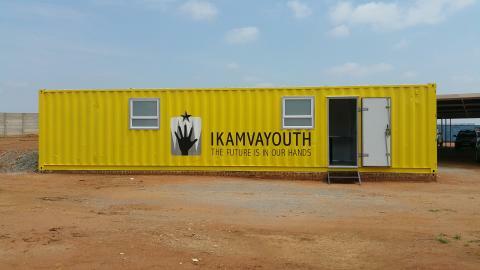 IkamvaYouth looks forward to exploring opportunities, such as University campus tours and one-on-one mentoring sessions with professionals etc with Bank Of America. We believe that this will awaken the career interests of learners and encourage learners to embark on educational pathways to eventually realise their dreams. We believe these events are a culmination of the vision to lead learners to identify their significance in the spaces they live in, i.e. 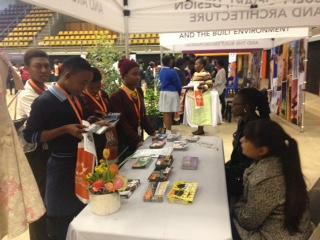 school, home etc, and take ownership and responsibility for the opportunities that will lead them to a dignified life. The branch is planning on building capacity within the branch by training tutors on how to enable learners from grades 9 to 12 to begin thinking about possible careers and begin their individual processes. 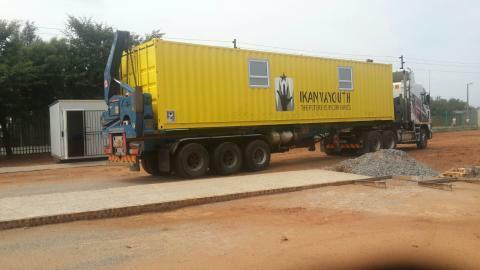 This training will introduce them to practical online tools and resources that will equip them and support them. 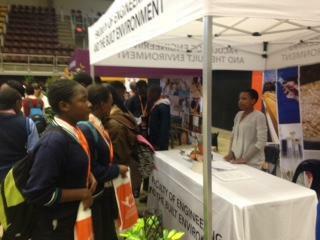 We also aim to have a stronger Mentorship and Job Shadowing presence in the branch for the grade 11s and 12s, and we believe with timeous planning and involvement of external partners we can introduce learners to mentors that will support them more regularly in taking ownership of their lives post-matric. 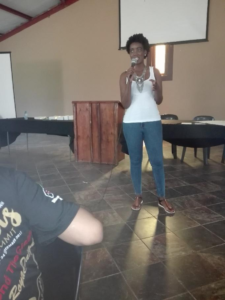 This year, the Ivory Park branch hosted yet another successful winter school programme that commenced on the 3rd of July until the 14th of July. 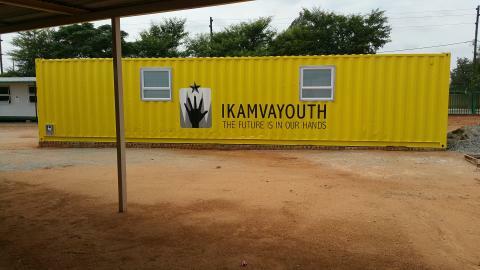 The programme started off with an opening ceremony attended by tutors, learners, branch staff as well as other IkamvaYouth staff from the Gauteng team. Over 45 Tutors and approximately 165 learners were then grouped using a colour system with the purpose of sharing tasks and ensuring that there is order. Our programme included a minimum of 40 hours of tutoring, afternoon fun activities and educational workshops, talent show preparations, winter school tournament/sports day as well as academic games such as trivia and general knowledge. We managed to get through our winter school programme accordingly and in line with the schedule. What worked really well was the condition of the venue, registration of tutors and learners before the commencement of sessions, name tags, colour coding, as well as the tutor team tasks schedule. 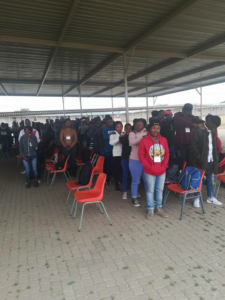 Before the start of tutoring sessions, registration and ice-breakers were the culture of the Ivory Park branch whereby tutors and learners would get name tags and proceed to the assembly for an ice breaker. Tutoring sessions began at 09:30 am each day with fundamental subjects such as Mathematics and English being the main focus and then followed by all the other general subjects (Accounting, Geography, History, etc.). During the first week, Lovelife and The Unleashed Woman hosted workshops for our tutors and learners. 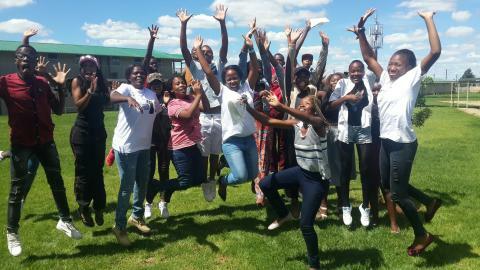 These workshops took place in the afternoon on Thursday the 6th of July in which Unleashed Woman conducted a tutor session with our tutors while the Lovelife ground breakers had our learners participate in fun activities. 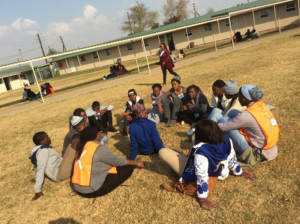 During the second week, SADAG explored ways for young people to escape the negative binds of drug abuse with our grade 9s. Our Grade 11 learners also attended a three-day Capitec Financial Training conducted by the Diepsloot fellows Zikhona and Thabo. 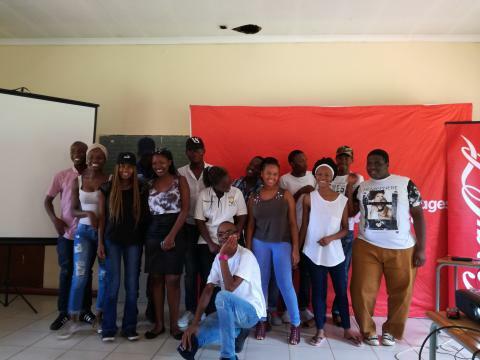 Sonke Gender Justice hosted a workshop for our male learners and tutors on the 11th of July to empower them, as the branch focus during the first half of this year had been mainly on female empowerment. At the end of the first week, learners and tutors participated in the winter school tournament/sports day. 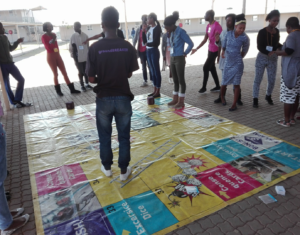 Indigenous games like hopscotch, uMgusha,donkey and skipping rope were played. On the last day of winter school, the tutors and learners showcased their talents from the choir, dancing and singing, modelling, poetry and rap as well drama. Tutors were handed certificates as a token of appreciation from the Ivory Park branch for availing themselves during the winter school and committing to the programme.